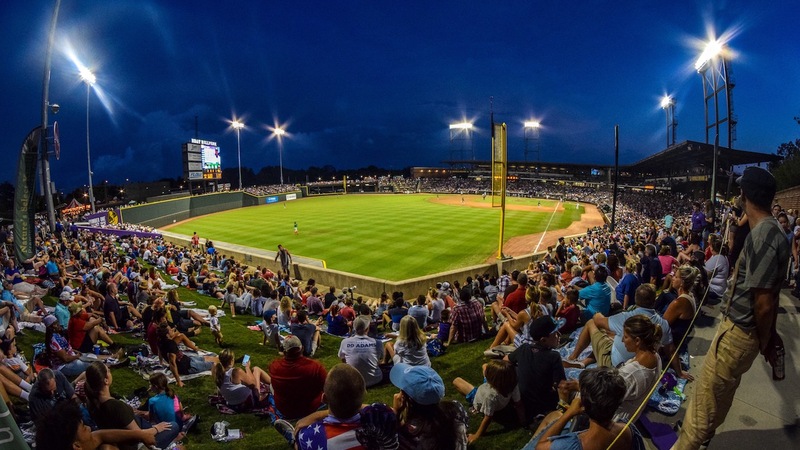 WINSTON-SALEM, N.C. (Jan. 22, 2019) - Following the announcement of five new staff members, the Winston-Salem Dash have added three more hard-working individuals to their staff in preparation for the 10th anniversary season at BB&T Ballpark, which commences on April 11. Drew Fisch has joined the team as a Business Development Representative and Box Office Assistant, Laurin Hunnicutt has been hired as a Group Sales Representative and Rosanna Stewart will serve as a Sales Coordinator. Born and raised in Winston-Salem, Fisch graduated from Elon University in May of 2018 as a double major in Marketing and Project Management. Before working for the Dash, Fisch was a Ticket Sales Representative for the ACC Football Championship in July 2018. He also spent a summer interning with the Burlington Royals of the Appalachian League as well as working with the Elon University Athletic Department. Prior to working with the Dash, Hunnicutt worked for the High Point Rockers as well as the High Point University Baseball team. A graduate of High Point University with a degree in Sport Management, Hunnicutt is embarking on her first job in Minor League Baseball. These three individuals, along with the rest of our staff, are working towards making 2019 an extraordinary year. You can help celebrate our 10th anniversary at the downtown facility by purchasing a full- or partial-season ticket package by calling (336) 714-2287. More information is available on wsdash.com.